Below you can view all the homes for sale in the Chestnut Springs subdivision located in Marietta Georgia. 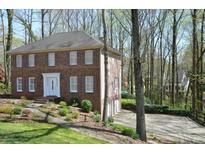 Listings in Chestnut Springs are updated daily from data we receive from the Atlanta multiple listing service. To learn more about any of these homes or to receive custom notifications when a new property is listed for sale in Chestnut Springs, give us a call at 404-998-4102. Flat Private Backyard Has Patio Perfect For Entertaining! MLS#6537039. Keller Williams Realty Signature Partners. This Special Home Has It All! MLS#6535156. Century 21 Connect Realty. One Of The Best Locations In All Of East Cobb To Get To I75 Quickly Plus Minutes To Whole Foods, Trader Joe'S, Sprouts, Hd, Ymca, The Avenue East Cobb & Merchants Walk! MLS#6534072. Strategy Real Estate International, Llc..
Level Drive Way And Attached Kitchen Level 2 Car Garage. MLS#6527621. Mark Spain Real Estate. Great Swim/Tennis Neighborhood With Gazebo Overlooking Community Lake. MLS#6523578. Re/Max Town And Country. This Home Is Unique Becuase It Is Not Part Of The Hoa And Joining Is Optional. MLS#6524052. Property Systems Of The Southeast, Llc..
Siding And Roof Replaced In 2015. Kincaid, Dodgen, Walton Schools MLS#6523179. Keller Williams Realty Atl North. One Of The Best Locations In All Of East Cobb To Get To I75 Quickly Plus Minutes To Whole Foods, Trader Joe'S, Sprouts, Hd, Ymca & Merchants Walk! MLS#6522297. Keller Williams Realty Atl North.